So you wanted to buy a car but don't know which car to buy? VroomVroomVroom has the answer for you! Why not consider booking a couple of rental cars first? 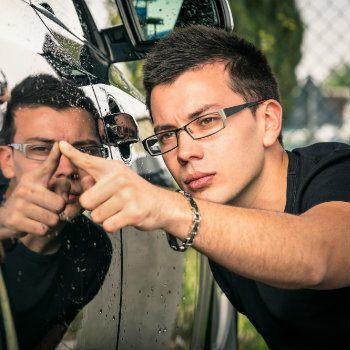 By doing so, you can allow your driving experience to point you in the right direction and help you choose the right car and prevent an expense mistake. When people paint a room in their house, they buy a small sample can of paint and try it on one of the walls. Well, renting a car is exactly like buying a sample — you try the car first before you buy the car. You can also thoroughly inspect both the interior and exterior of the vehicle. You can always go to the car dealers. The problem with that is if you go to a car dealer to ask advice on buying their car, they are not going to give you a fair and balanced opinion of the pros and cons of the automobile they are selling. You will only hear selling points and the test drives only lasts for a few minutes. When you rent a car, you can drive it for a day or even days - trying out different terrains. You can see how a vehicle really perform during long drives and facing various weather conditions. If you wanted to know more about the vehicle's specs and read about the experts' opinions , you can buy a car review magazine like Which? Car. That's a great starting point but there is nothing like getting into an actual car, feeling the car drive on the road, and understanding the good points and the bad points through actual car use. Renting a car for a couple of days, maybe rent the car for the weekend, will give you a complete impression of what it would be like to actually own that particular car. If there is something you don't like about the car you are renting, simply return it and get another one. "Try a car before you buy a car" is a great and reassuring way of purchasing the right vehicle for your automotive lifestyle. Check out the great car hire UK - deals from VroomVroomVroom today! Our fleet of rental cars ranges from economy to luxury so you are assured of finding a vehicle that will suit your budget and preference. Do you need a bigger vehicle like a campervan or motorhome? You can also book a campervan hire through VroomVroomVroom as well and try out different vehicles before buying one. When it comes to buying a car or a campervan, there is no room for mistake! So be wise and book a car hire or campervan rental first - see which vehicle will win your heart!